Maastricht University (UM), is one of the most internationalised universities in the Netherlands. With 14,500 students and 3,500 staff, UM offers a wide choice of academic programmes, all of which are designed to bring out the best in its students. Founded in 1976, UM has grown quickly, thanks to its innovation and commitment to internationalisation. Maastricht University’s faculties and schools offer a broad range of accredited bachelor’s and master’s programmes independently or in cooperation with other education institutes. The university also provides programmes for PhD candidates, postdoctoral researchers and other professionals. The honours programmes offer plenty of additional opportunities for talented students. Students and staff, programme reviews and national and international rankings have rated the education at Maastricht University highly. Maastricht is one of the oldest cities in the Netherlands. Although the city embraces innovative science, technology and art, it has been able to hang on to its fascinating past. Its rich history still shines through on every street corner. The city’s love for culture culminates in countless fairs, festivals, parties and performances throughout the year. Furthermore, the city’s green and hilly surroundings offer great opportunities for nature lovers and sports enthusiasts to enjoy walks and bike rides along the area’s many nature trails. In Maastricht, almost everything is within reach on foot or by bicycle, which makes it appealing to students. From almost anywhere you can visit your friends or walk to the centre within minutes. There is a rich cultural life in Maastricht with museums, theatres and cinemas that offer diverse programmes. 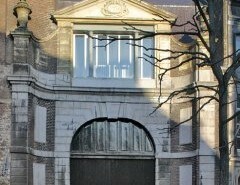 In addition, more than 135 international institutes have made Maastricht their home. This has contributed to the development of a prolific intellectual community with a distinctly international flavour. Maastricht is located at an international crossroads. Cities such as Brussels, Liege, Aachen, Cologne and Düsseldorf are just an hour away. And you can be in Amsterdam, Berlin, Paris and London in no time. In fact, ‘abroad’ is right next door.